Ever thought of living in a spectacular Craftsman home? 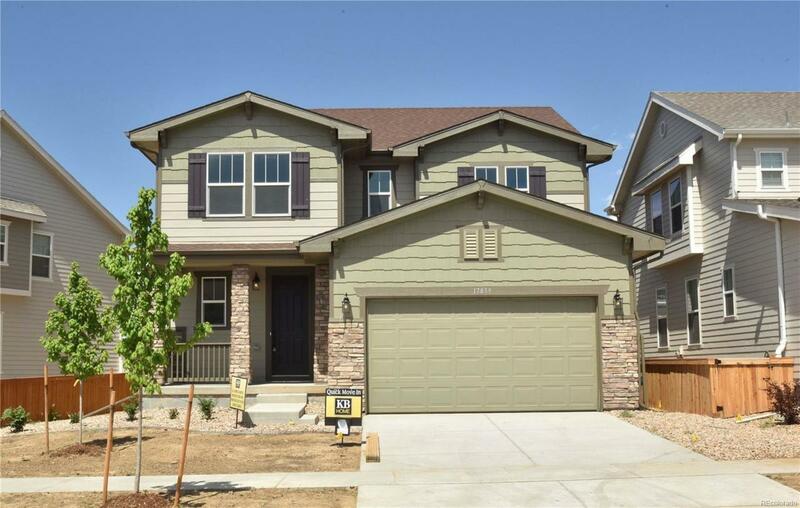 Your dreams can come true in this captivating home with stone accents and large front porch. Entertain family and friends in your marvelous great room. Everyone loves to gather in the kitchen which features an amazing large kitchen island. No longer do you need to envision remodeling a used home. This home has all of the up-to-date features with sensational White Springs granite and Timberlake Tahoe overlay recessed panel cherry stained cabinets. You will have plenty to do in the neighborhood with the recreation center and swimming pool, or take a walk along the 52-acre park and enjoy the view of the majestic mountains and the Colorado sunsets. Come see us! We cannot wait to show you this beautiful home. The exterior photo provided is of another home, not actual home.